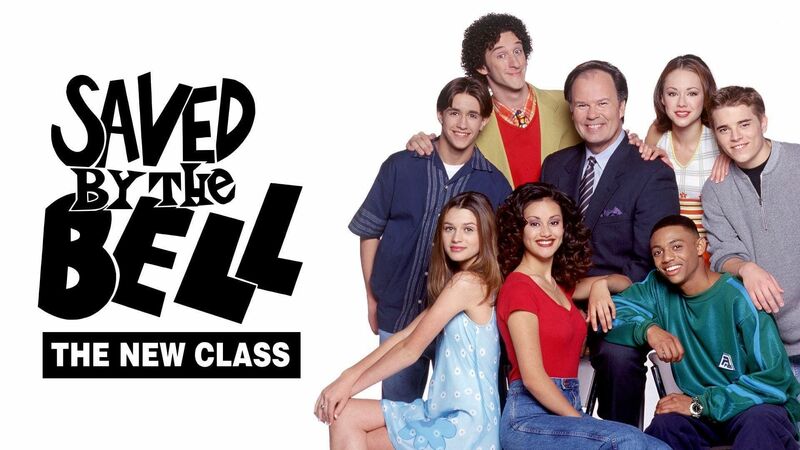 Here's where to watch every episode of Saved by the Bell: The New Class season 6. Mouseover or tap an episode to see where to stream it. Click or tap the play icon to stream it on the best available service. Maria's Revenge Sep 12, 1998 Despising him for something he did in the past, Maria gives Bayside's new student and her former Valley High classmate Tony Dillon a hard time. Eric, Katie and Nicky believe that Liz is heart broken after Ryan receives a scholarship to a prestigious boarding school. Do the Write Thing Sep 19, 1998 Desperate to find a good story for the school newspaper, Katie writes an unfair article about the football team. The Lyin' King Sep 26, 1998 Nicky gets worried when Eric starts dating his cousin. The Young and the Sleepless Oct 3, 1998 Eric starts getting moody when he stops getting enough sleep. Cigar Wars Oct 10, 1998 Tony gets addicted to smoking cigars. Win, Lose or Cheat Oct 17, 1998 Maria, Tony, Katie, and Nicky are selected to compete for a game show where the couple who knows the most about each other will win a car. But when Maria and Tony are secretly chosen to cheat in order to win the car, they are faced with the decision of deceiving their friends or giving up the car. Hands Off Oct 24, 1998 Katie is reluctant to do something when her boss starts sexually harassing her. Guess Who's Running the Max Oct 31, 1998 When the manager at the Max leaves, he places Maria temporarily in charge of it, but when Maria starts bossing Tony around, who also works there, he gets upset and their relationship almost collapses. Mind Games Nov 7, 1998 Liz's new boyfriend starts manipulating her into doing whatever he wants her to do. Free for All Nov 14, 1998 Movie theater employees Tony and Nicky start letting their friends into the theater for free which almost costs them their jobs. Loser Nov 21, 1998 Liz is devastated when she loses a swim meet. Bye-Bye Tony Nov 28, 1998 The gang remembers old times when Tony is upset that his father wants him to move away. Seasons Greed-ings Dec 5, 1998 When Christmas comes, the stores in the mall try to raise money for the poor little kids during the holiday season. However, the gang competes in the mall to see which one of their stores can out sell the other, not caring about the poor little kids who won't have a good Christmas.